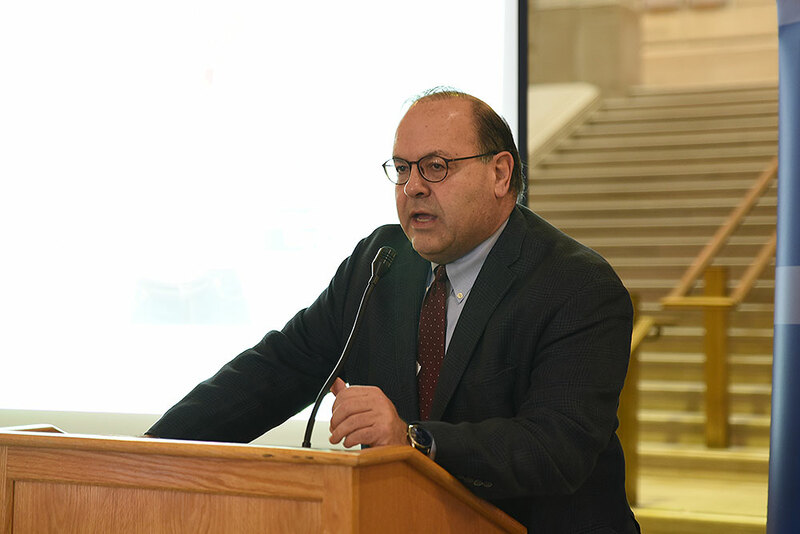 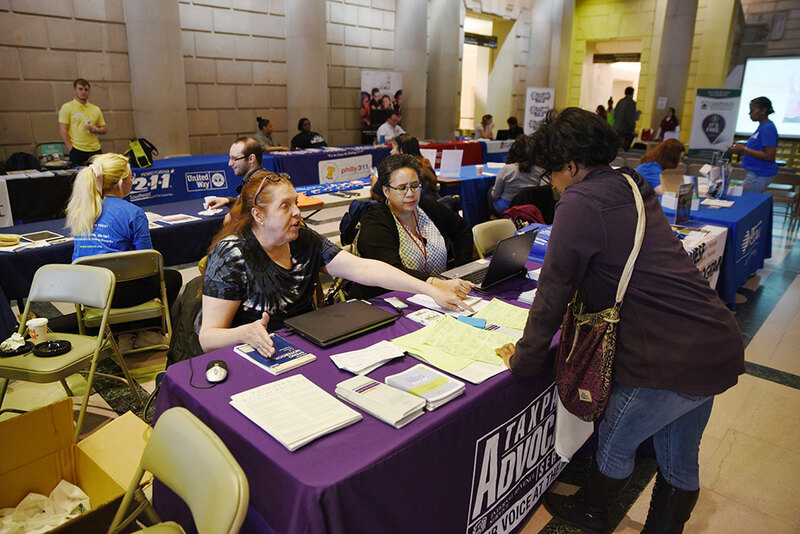 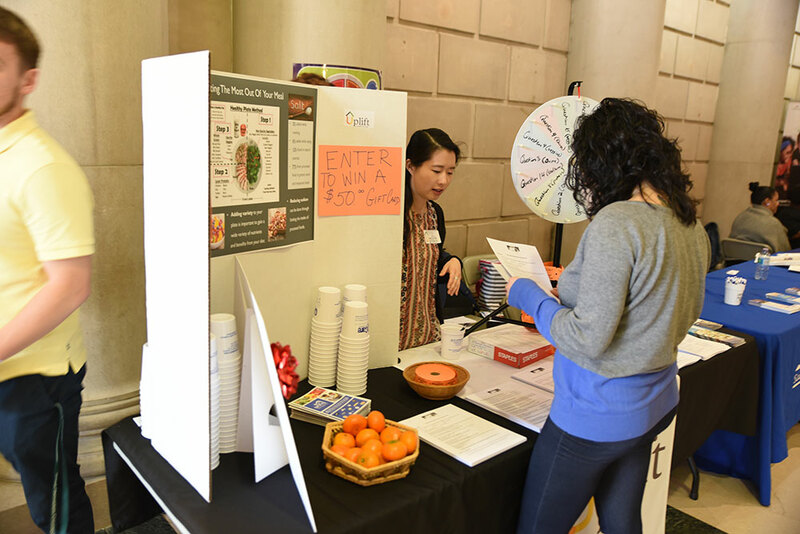 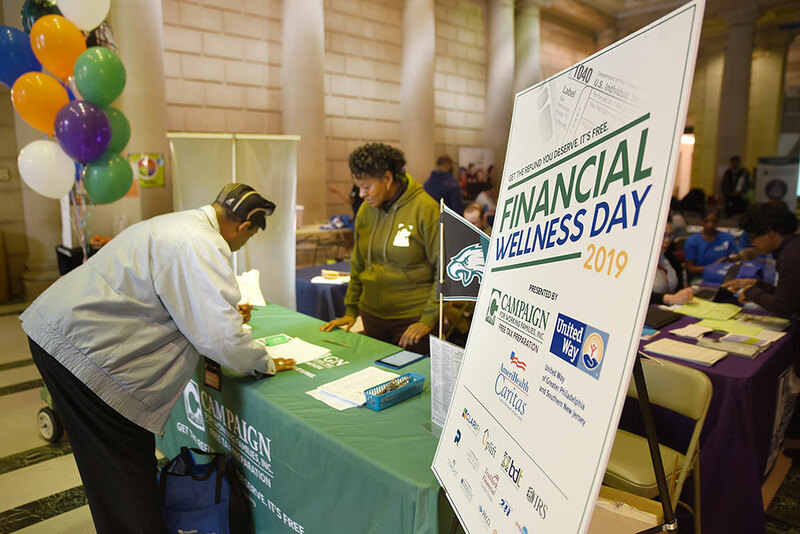 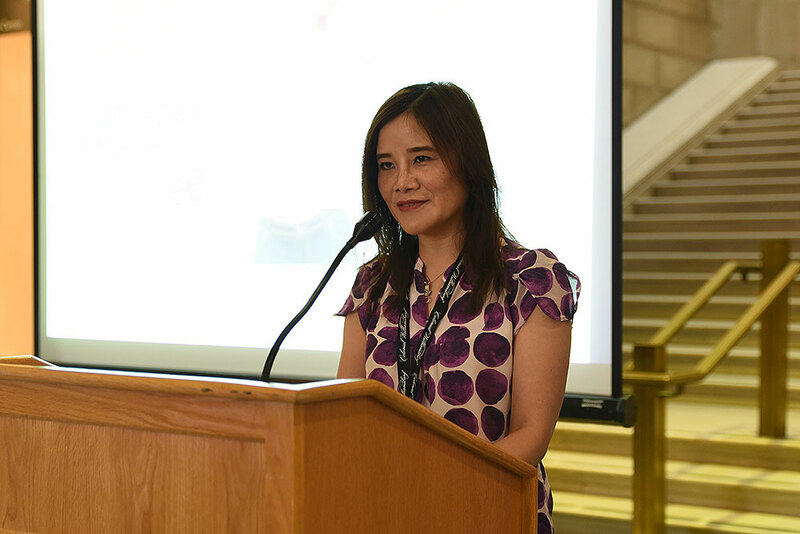 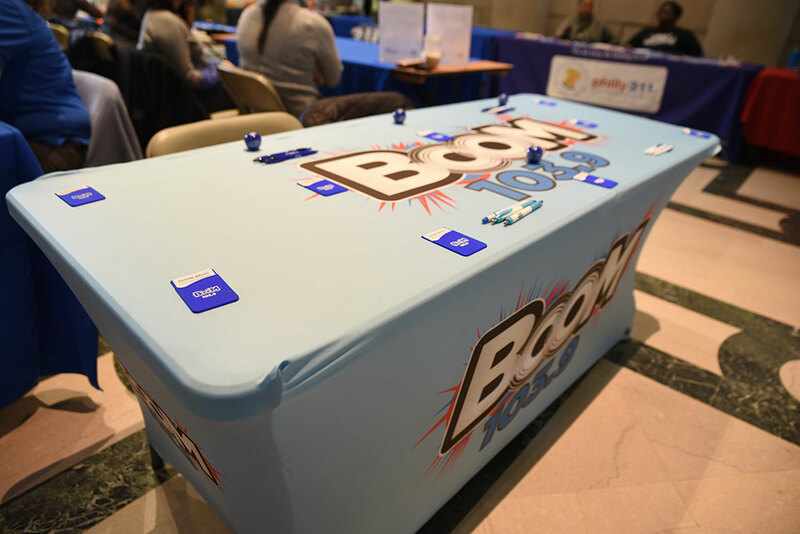 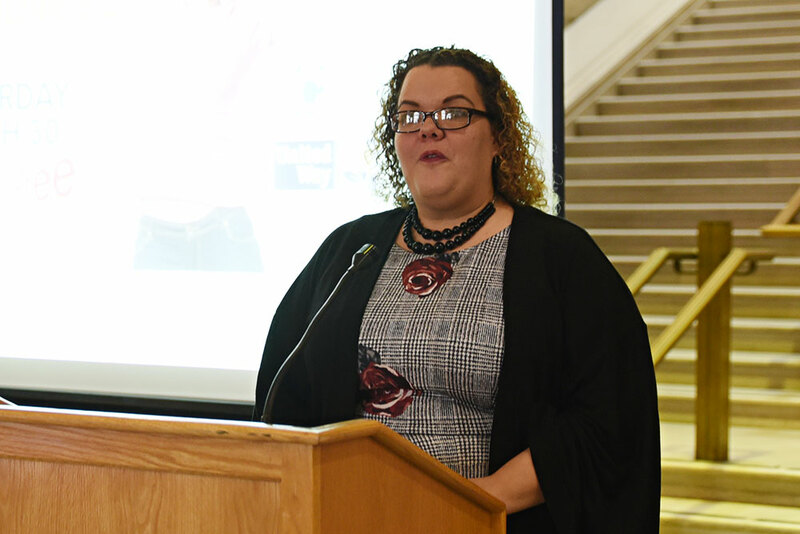 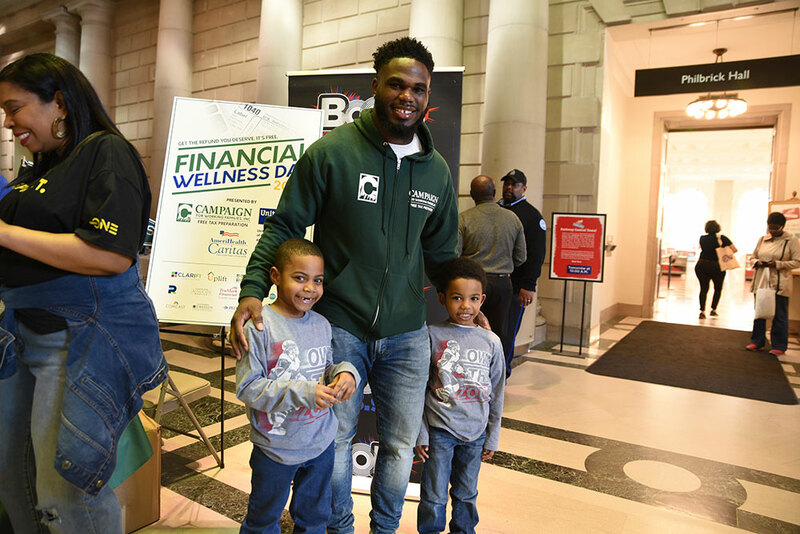 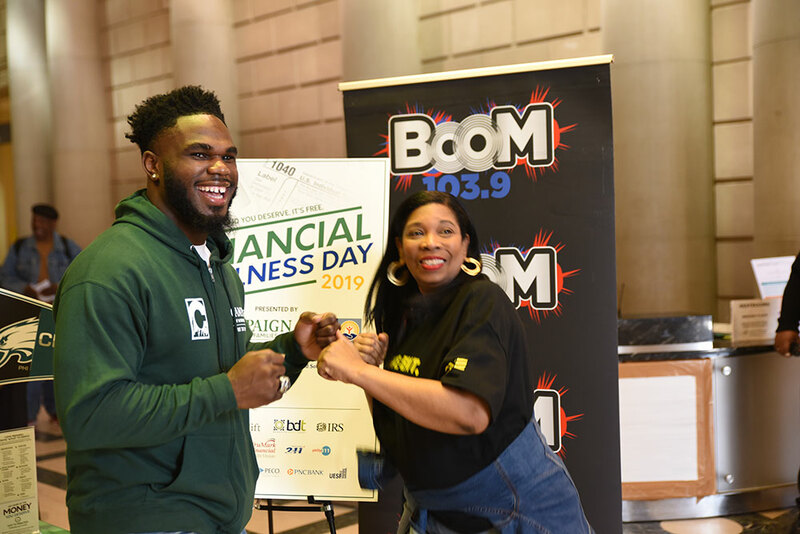 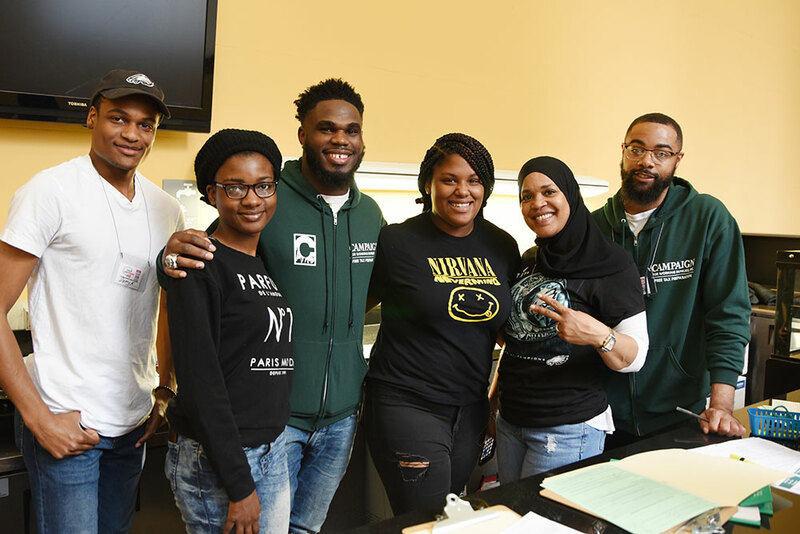 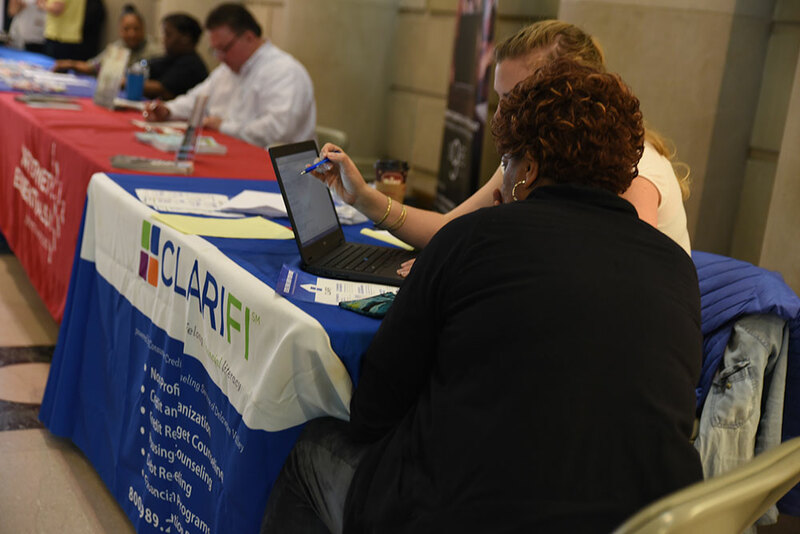 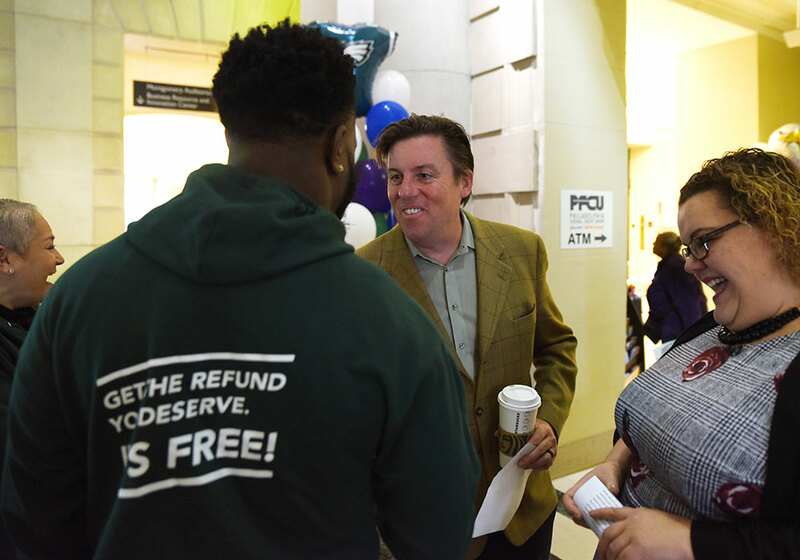 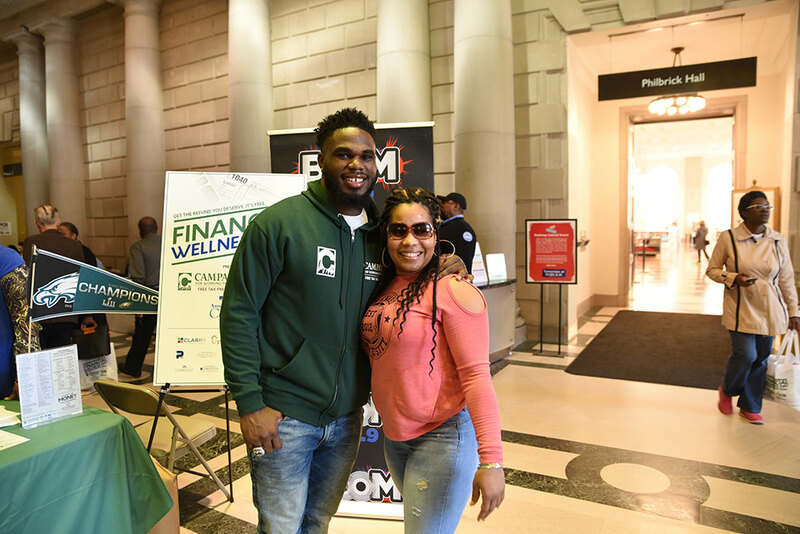 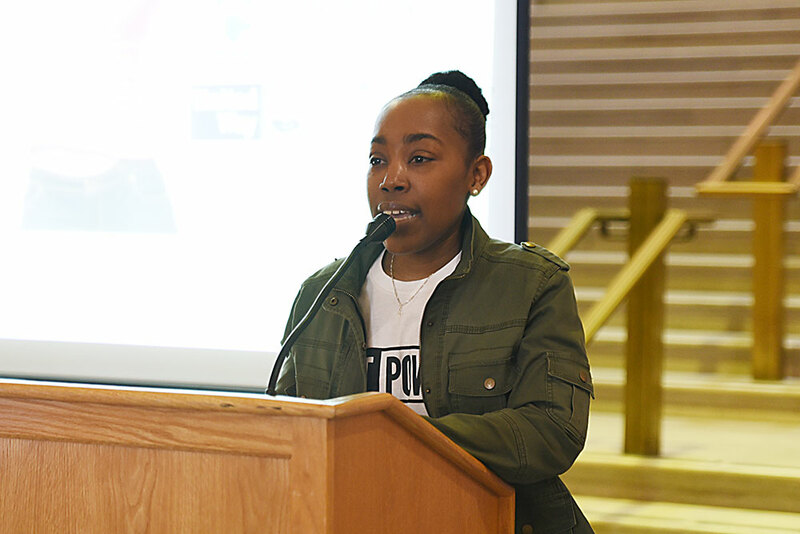 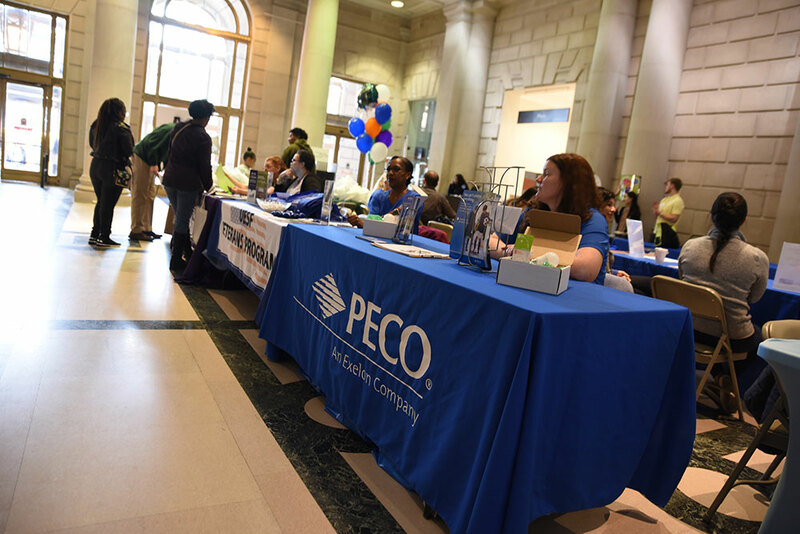 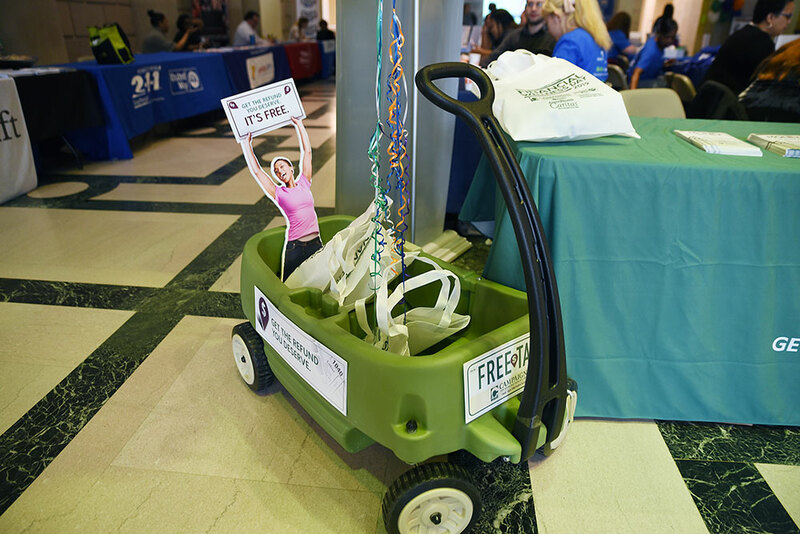 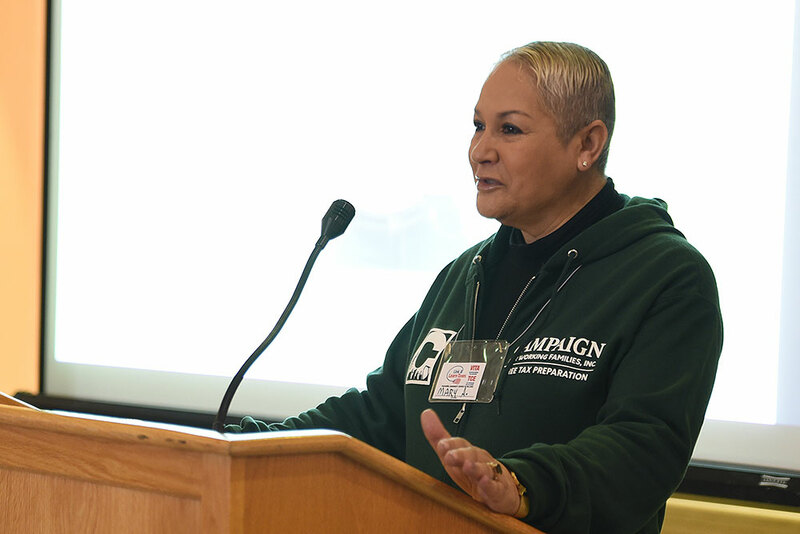 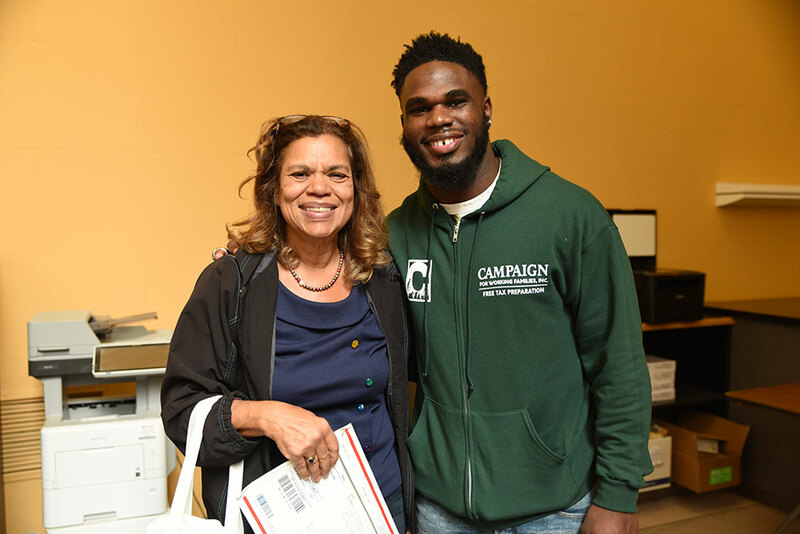 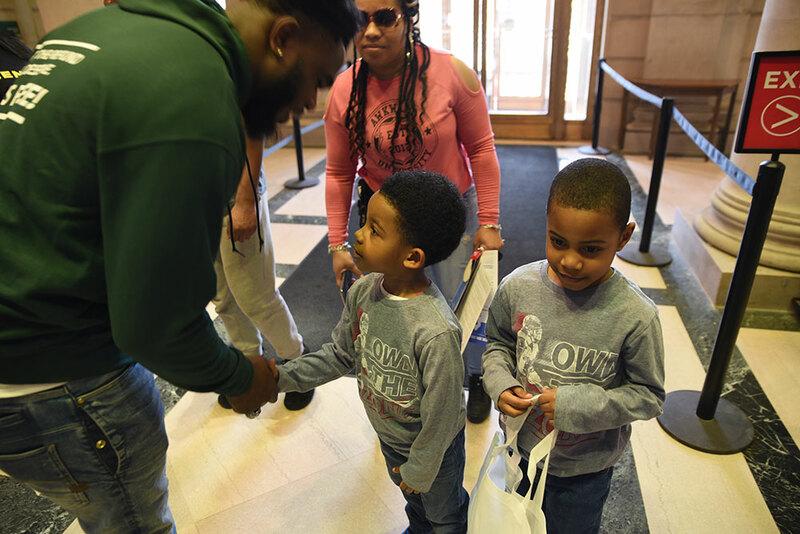 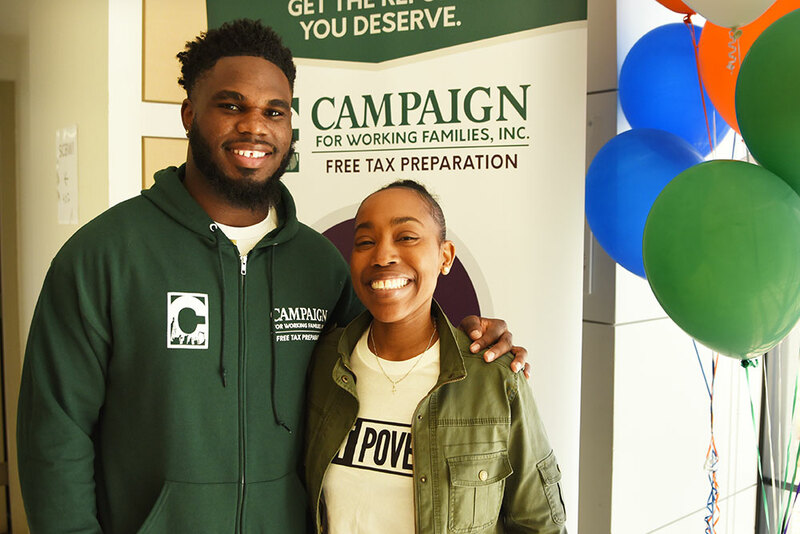 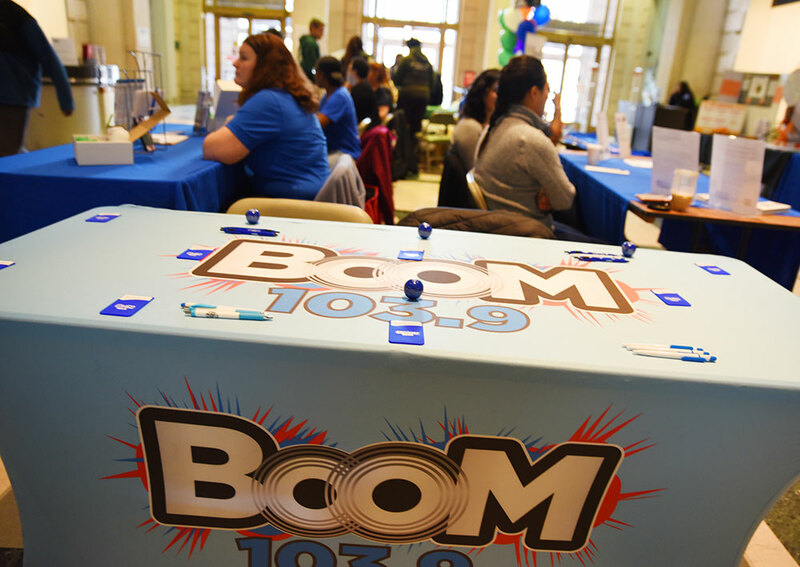 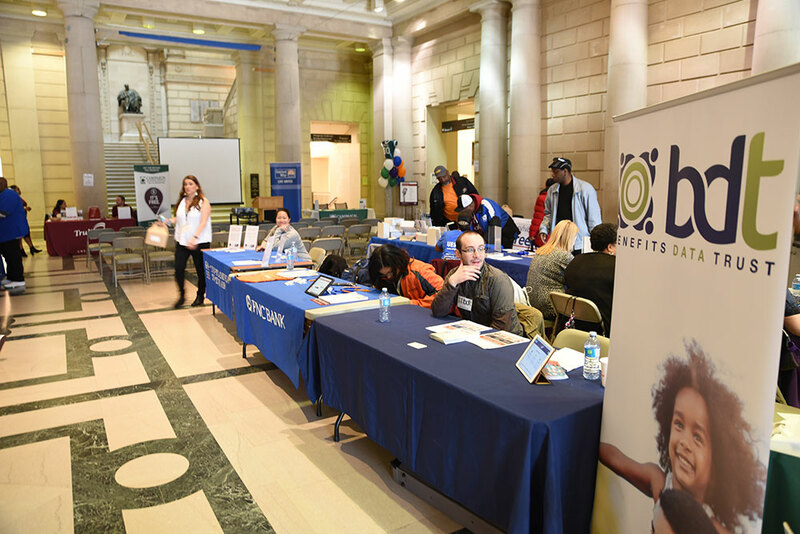 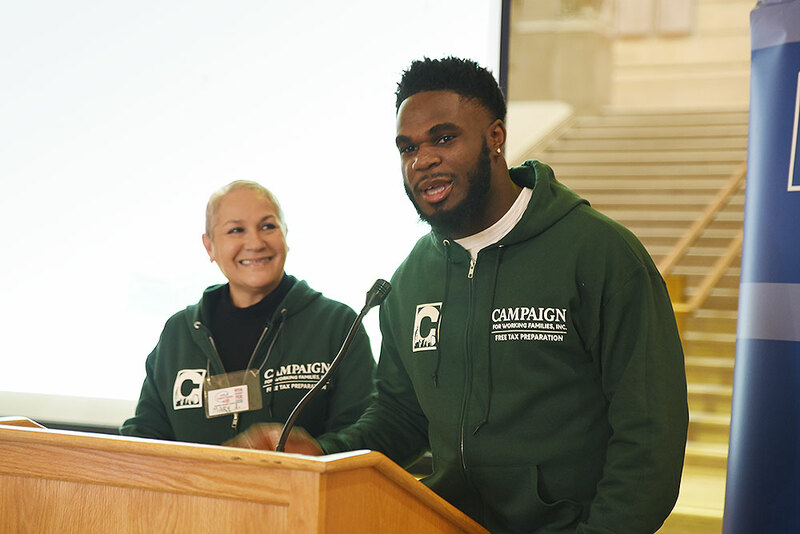 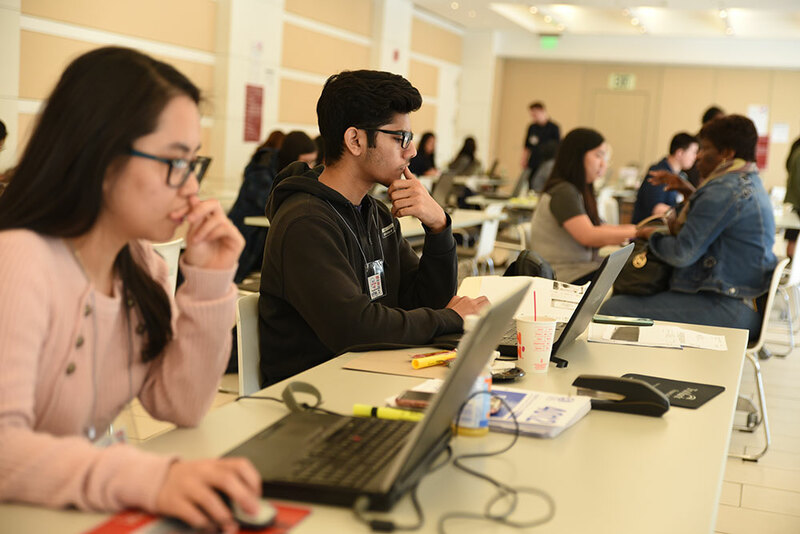 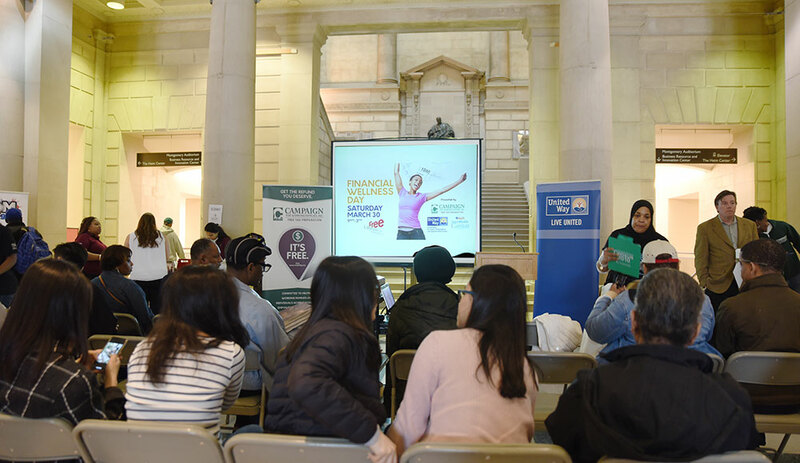 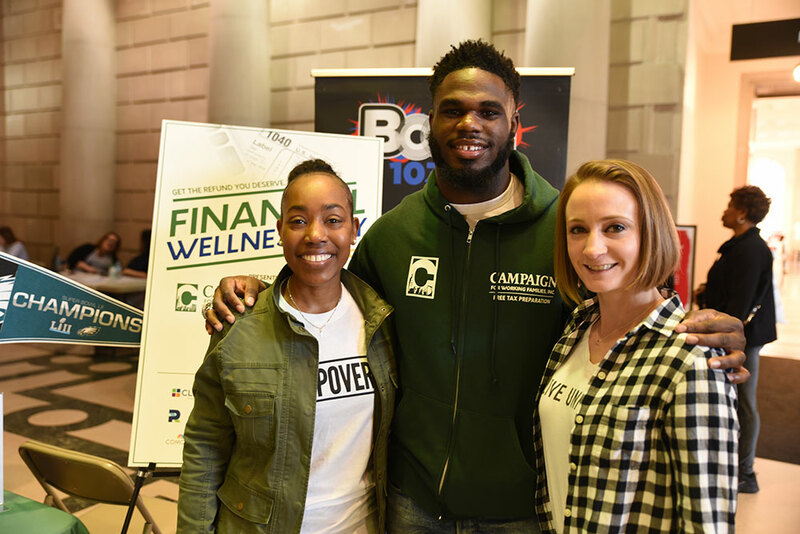 Financial Wellness Day 2019 | Campaign for Working Families Inc.
On Saturday, March 30, 2019, Campaign for Working Families — in partnership with The Untied Way of Greater Philadelphia and Southern New Jersey and Amerihealth Caritas — held the 4th Annual Financial Wellness Day. 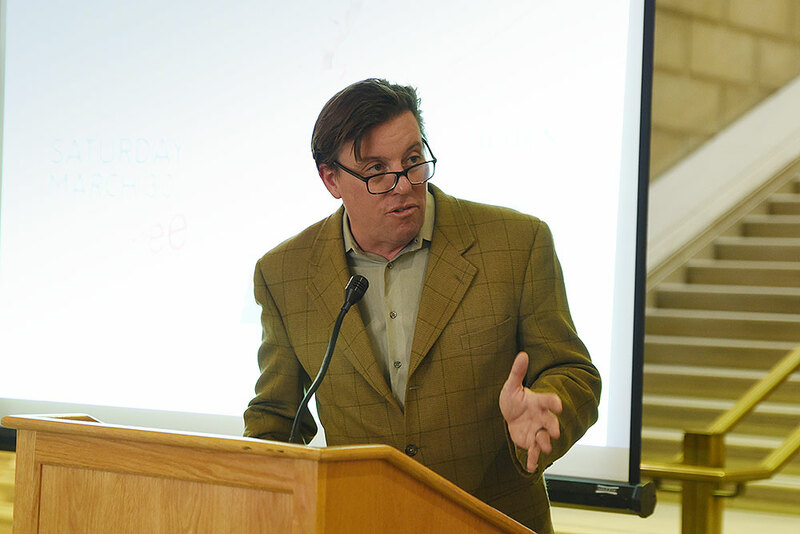 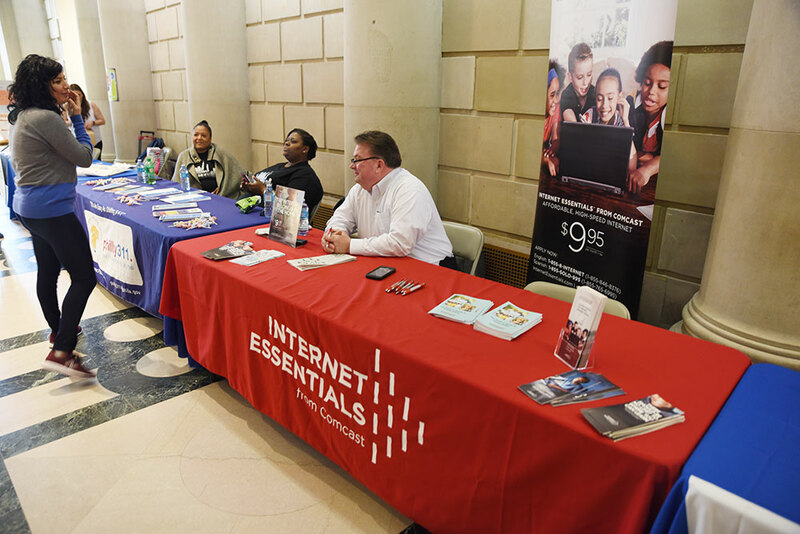 The event began at 9AM at the Free Library of Philadelphia’s Parkway Central Vine Street location in Center City. 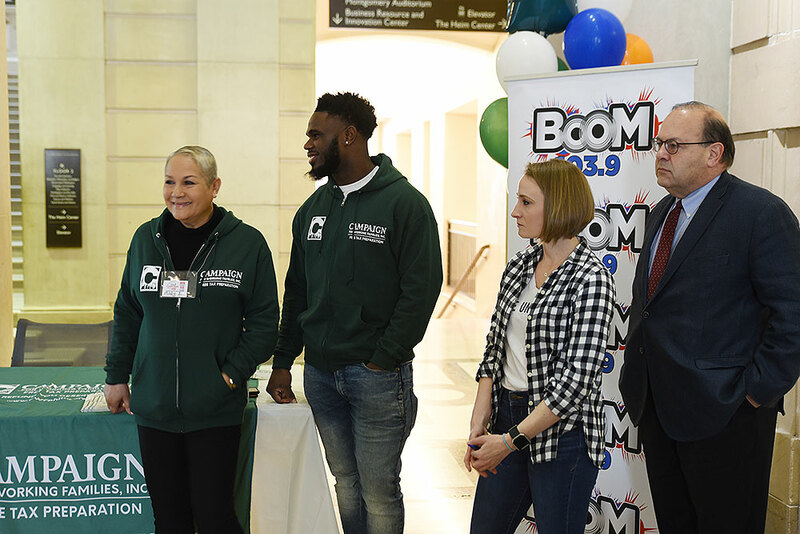 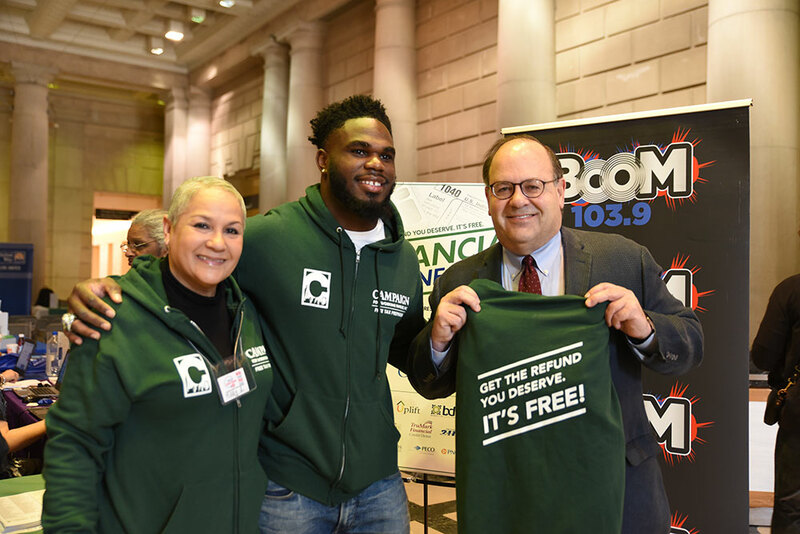 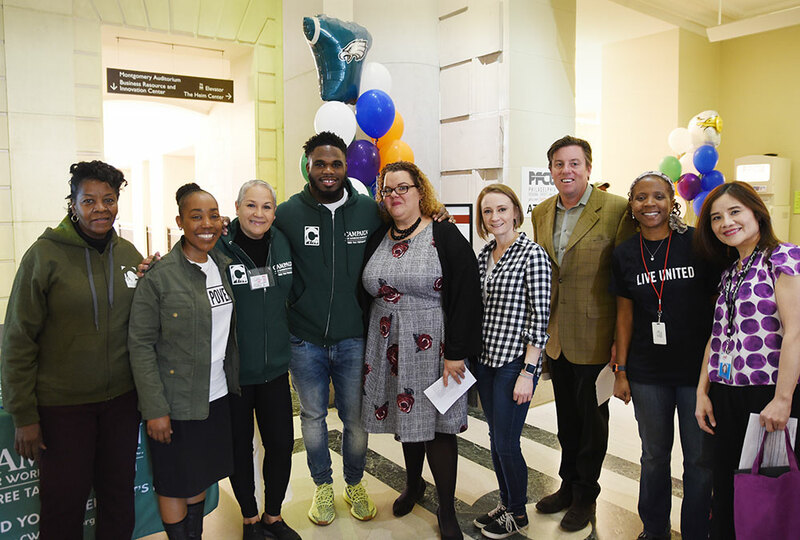 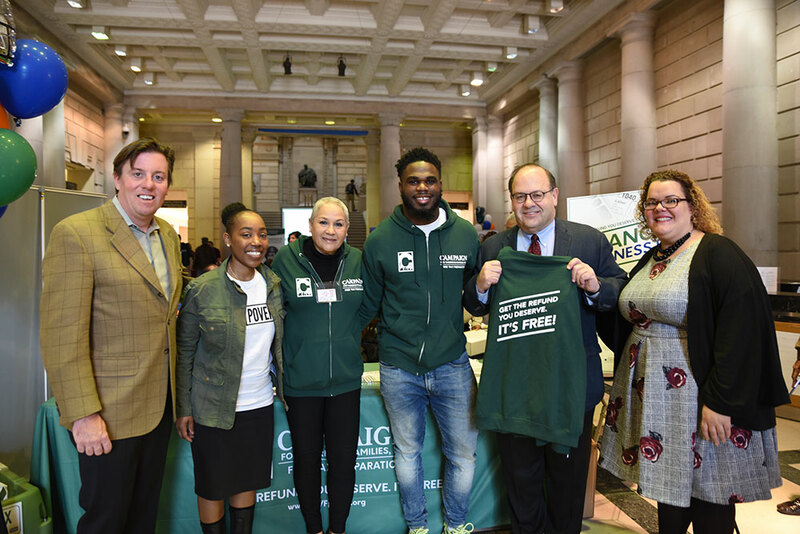 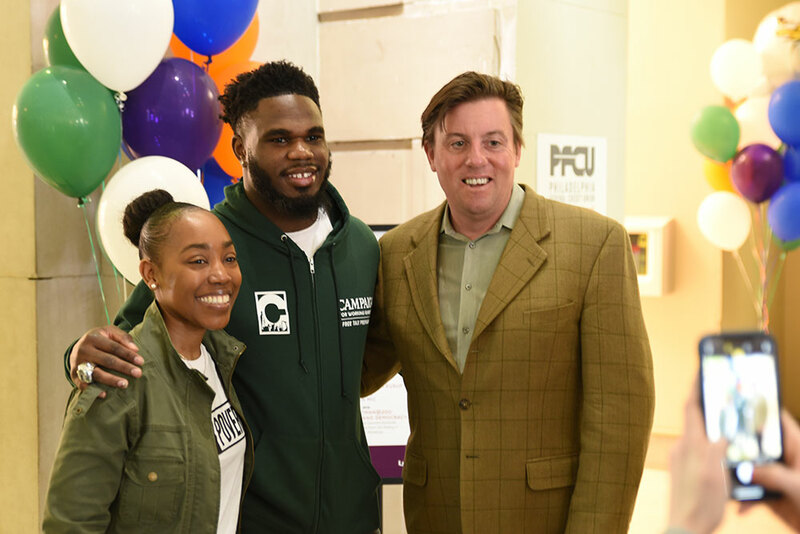 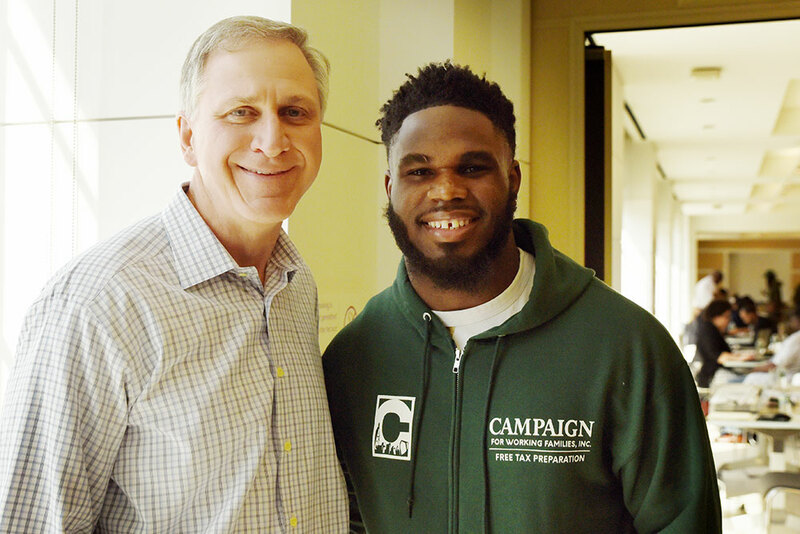 The morning program started at 10AM with comments from: Jennifer Chang, Philadelphia Free Library; United Way President/CEO Bill Golderer; CWF President and CEO Mary Arthur; Philadelphia Eagles #28 Wendell Smallwood; City Councilman Allan Domb; Dept. 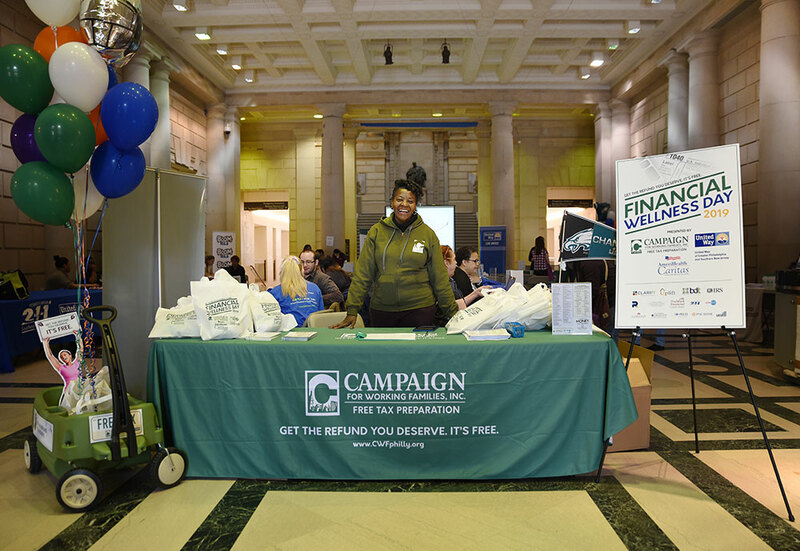 of Revenue Sandi Ramos; and United Way Dr. Nikia Owens. 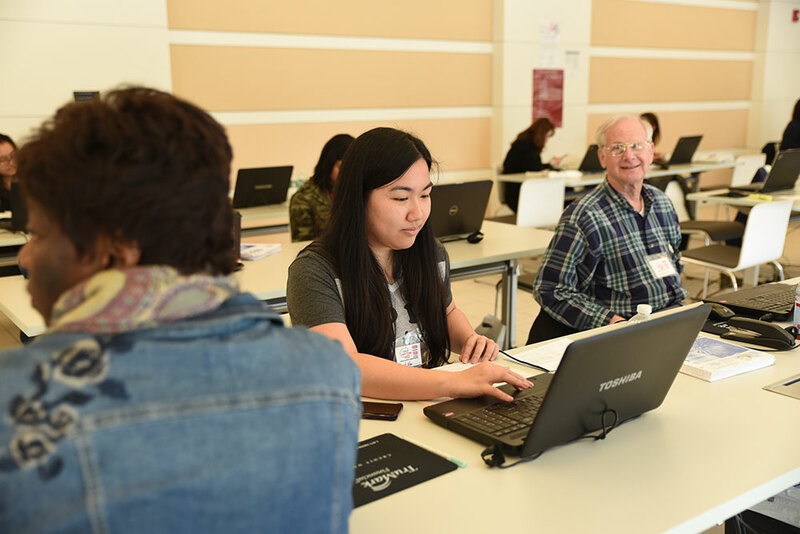 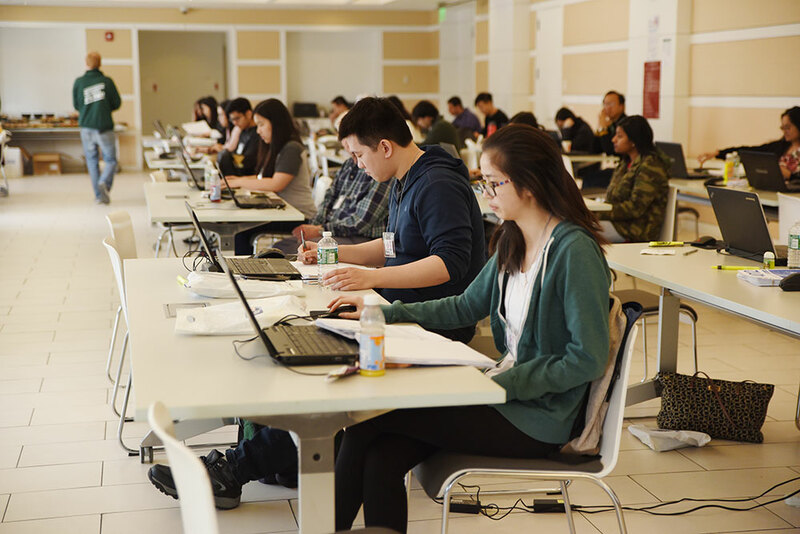 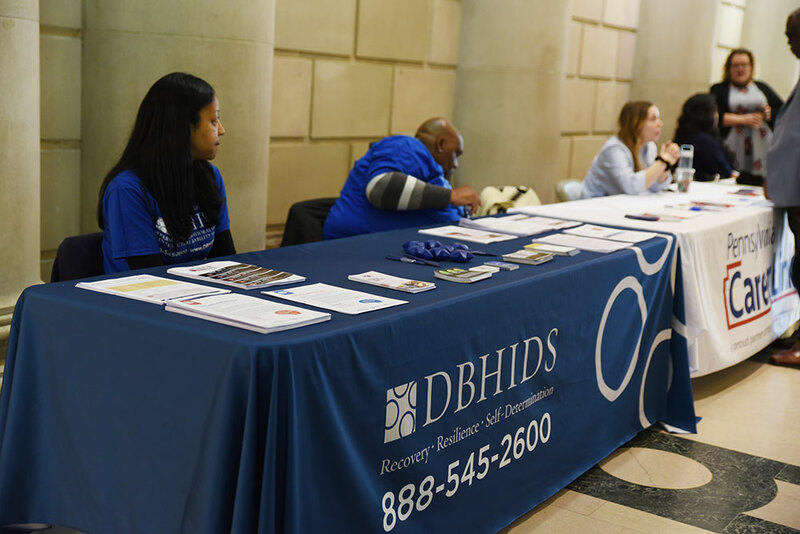 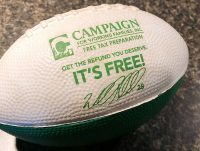 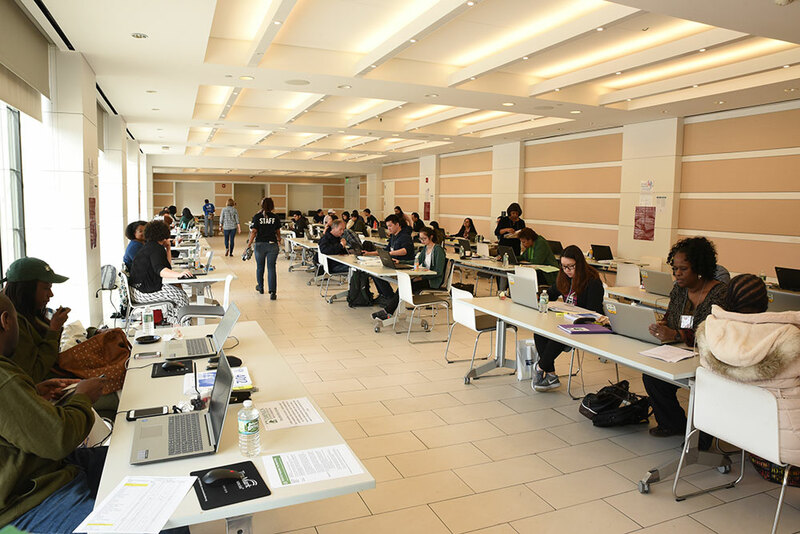 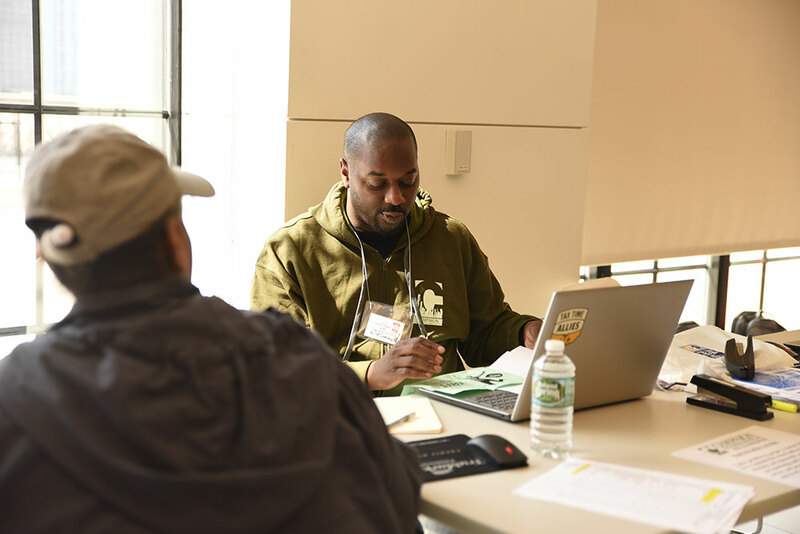 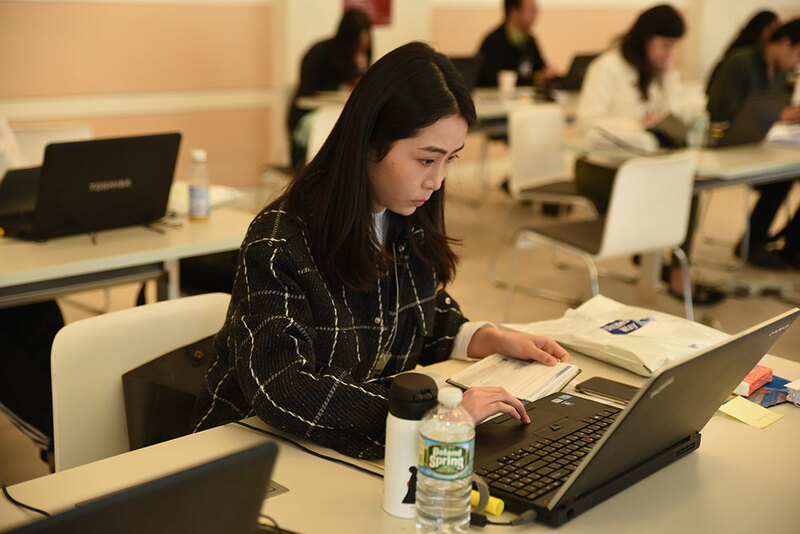 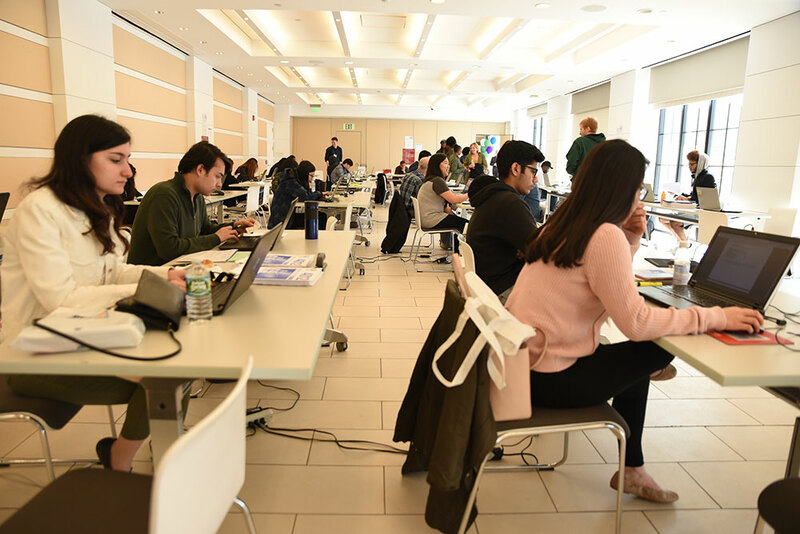 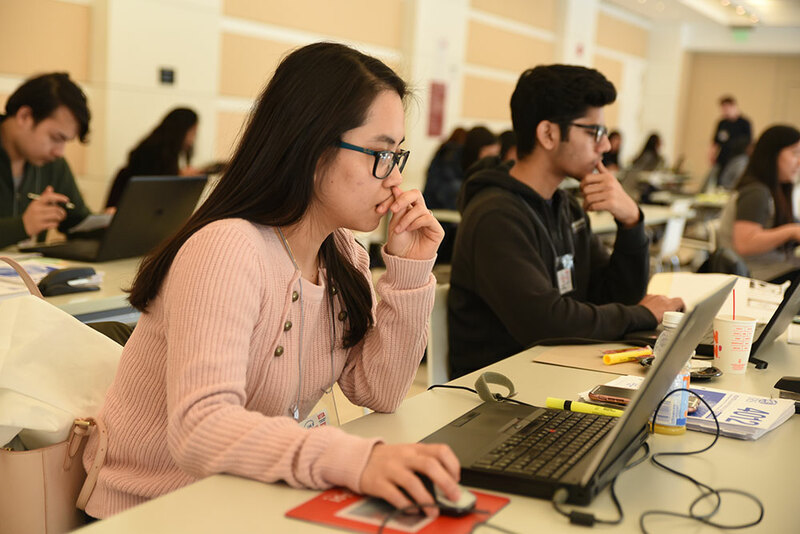 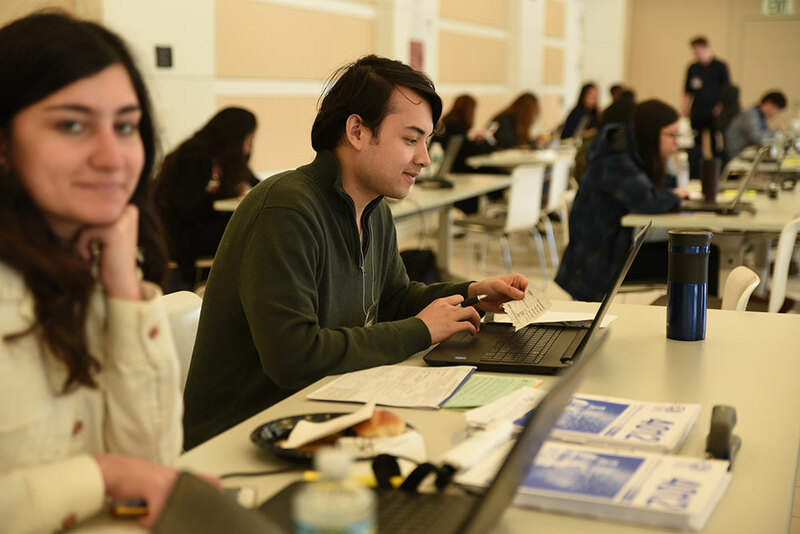 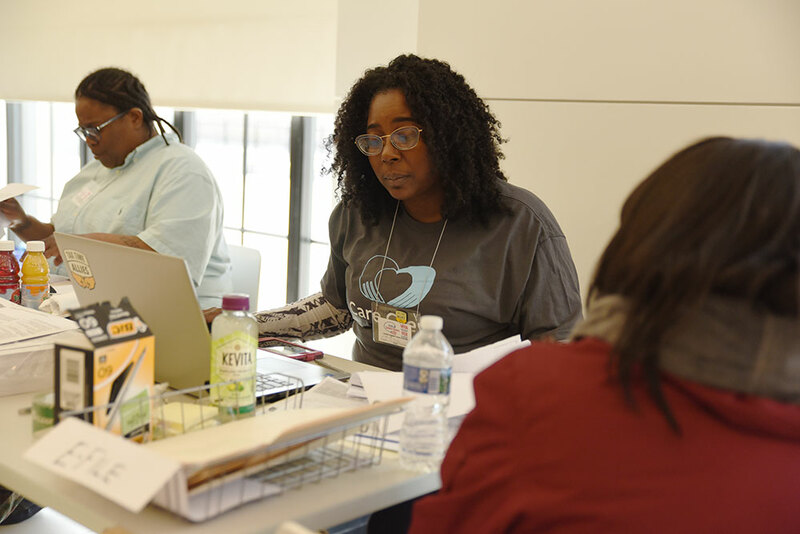 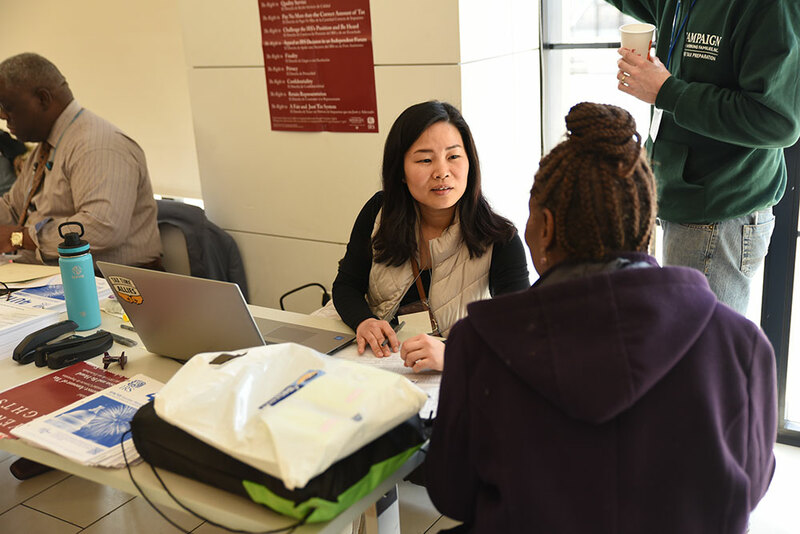 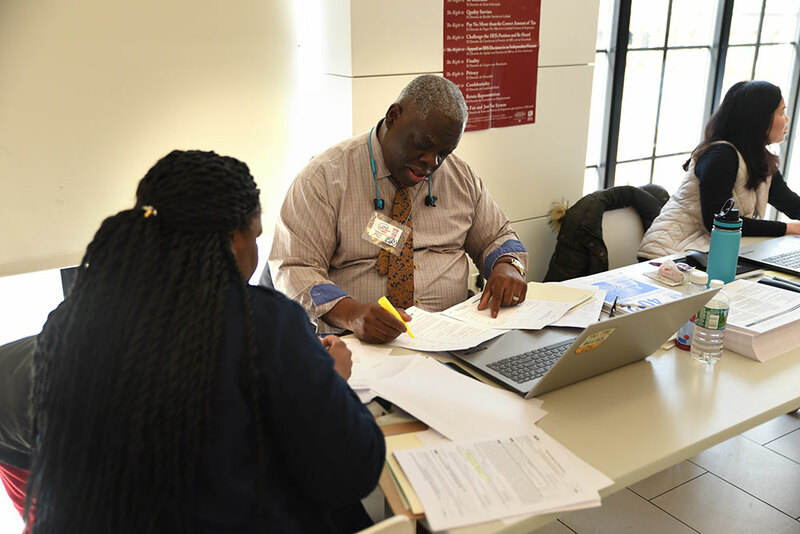 Guests from around the city participated in free tax preparation services and benefits applications (with the help of Benefits Data Trust) along with other money-saving resources. 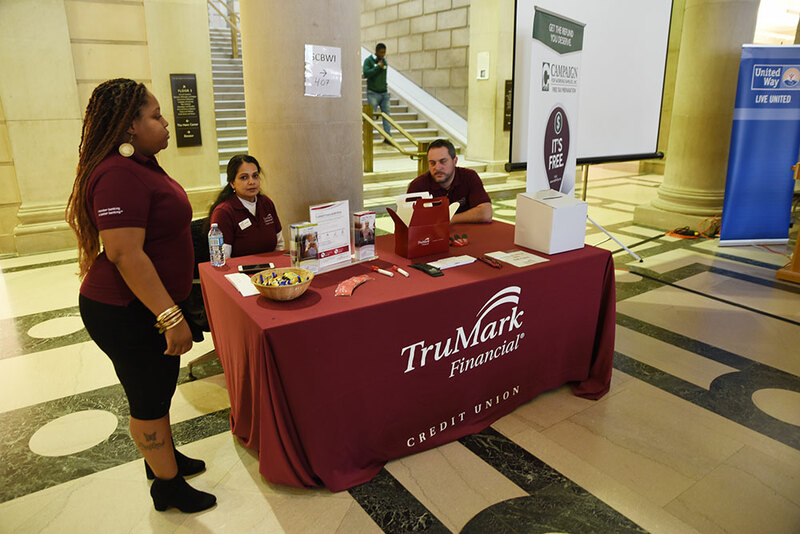 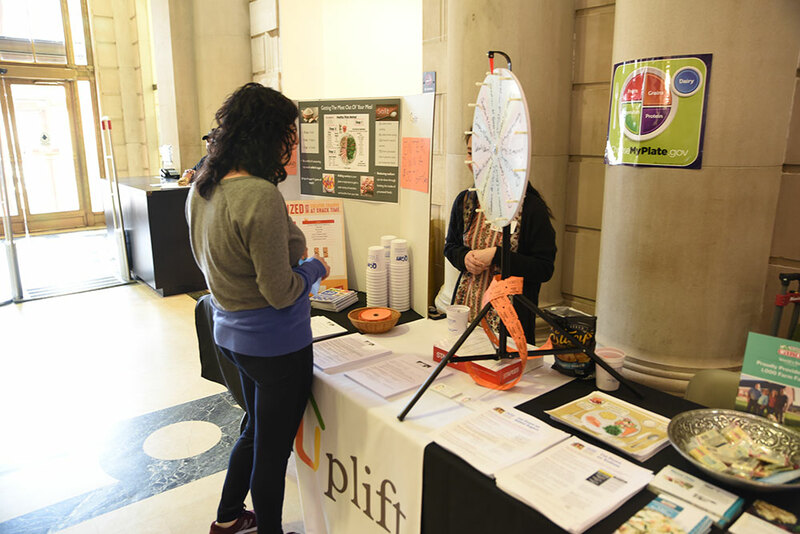 Thanks also to Clarifi for credit reports & counseling, Uplift Solutions for providing healthy eating activities, and TruMark Financial Credit Union for providing banking services. 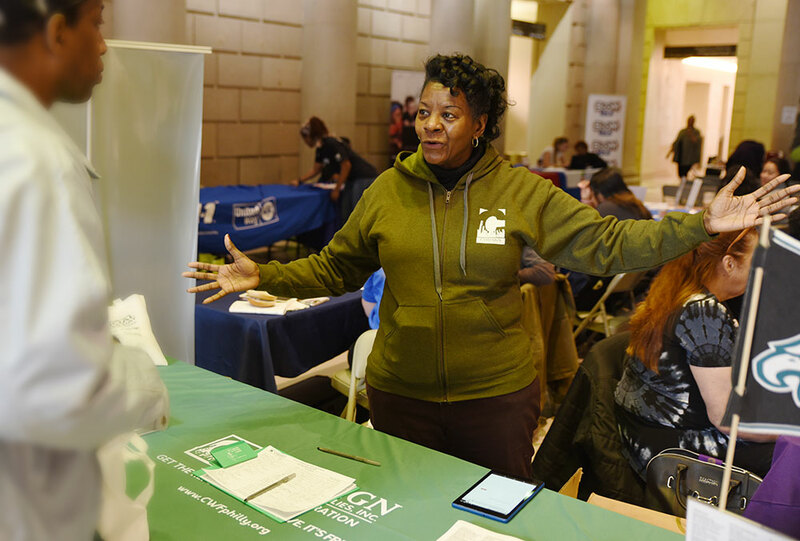 Big shout out to all the staff and volunteers who brought the day together!